"Excuse me, what is your name?" 打扰 is a verb which means to disturb, especially other people's life, work, routine or plan; So 打扰了 means "I disturbed you". (BTW personally I think it's a bit awkward to use it in Duolingo's sentence. Usually we would say 不好意思 or 对不起). 打扰了 is best used in situations of receiving hospitality, e.g. when you enter a friend's house for a dinner treat, or for passing a weekend. Thanks for the explanation. When You have time, could you also add the Pinyin for the pronunciation? Thanks in advance. Remember to follow the rules of change of tones to change da3 to da2. Actually, it is the unfortunate thing with Duolingo. They introduce words that they did not teach in the beginning of the lesson, some of them not even having a pronunciation sound track to them. It should be fine. 不好义思 would be a natural way to pardon yourself. Actually I personally feel that 你叫什么? is a bit rude. I can't figure out why a person that starts politely with 请问 would finish the question like that. How would you rephrase yhis question so it's more polite? 不好意思 bu4 hao3 yi4 si would be the right phrase to use if you walk up to someone randomly, an want to say 'excuse me' in that sense. 对不起 is used more as an actual apology. 请问 is a more general, polite way to introduce a question, and could be used in the middle of a conversation, not only at the beginning. No sound for excuse me. How does is sound? “请问， 你的名字是什么？” was not accepted. Is it wrong? 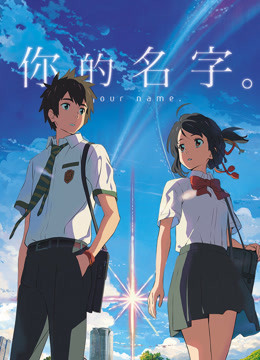 Usually "what's your name" is translated as “你叫什么？” or “你叫什么名字？”. Literally "you called what?" or "you called what name?". I've never seen "你的名字” or “我的性”。 I think you shouldn't use "de" on names and last names. Wht about the 名字? Or the 叫 substitute for that? Actually it is 什么. 什么 works largely like What and it can be an interrogative pronoun (as in A) as well as an interrogative determiner (as in B). A. 你叫什么？ / What are you called? B. 你叫什么名字？/ What name are you called? It's not a substitute and I think usually you would include "mingzi"
it should accept "你的名字是甚麼? ", the qestion is "What is your name?" not "What are you called? ", so both should be accepted. Using 繁體字 never affects the answer, so that's not the problem. it's missing "mingzi" ni jiao shenme mingzi? The correct solution provided appears to be totally different from the one in question . The solution contains (first three letters and letters sixth and seventh in the 2nd are not in the pingyin key board appearing below the task. No sound for the beginning of the sentence. Hard to understand it if i can't even hear the sound. No audio for strange new word. Why not the "normal" words for "Excuse me?" Please, remove 打扰了. None of these characters has been introduced yet. Please, add 请问 to the pool of words. Of course, but you can't guess the meaning of a chinese character by how it looks, even more, you can't even know how to pronounce it, so, how are we supposed to know that 打扰了 is a valid answer? by pure guess? I can't recognize or even spell any of those characters becouse none of them has been introduced on any lesson yet, so, am i supposed to get a correct answer by guessing? Even if i do it by chance, that doesn't mean that i've actually learned it. Again, i agree with your statement, but not as a justification for this. 你叫什么名字 should really be accepted as a correct answer. no, because the English sentence contains "Excuse me". What is the fuckingness with answer?